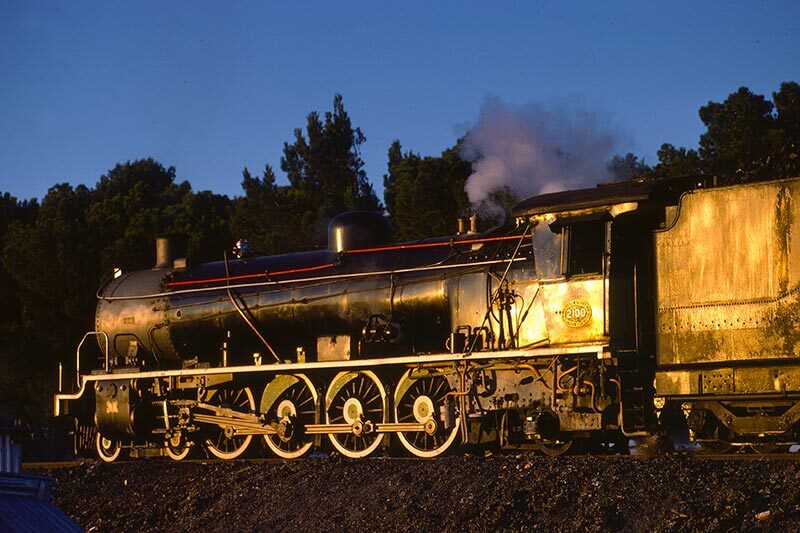 Caption - A very clean South African Railways (SAR) class 15AR 4-8-2 no.2100 catches the first sun of the day as it waits at Rosmead in May 1983. A short while later it joined classmate 2013 and the pair worked the 0800 hrs freight to Burgersdorp. These handsome locos were superb and had a good turn of speed when line conditions permitted.